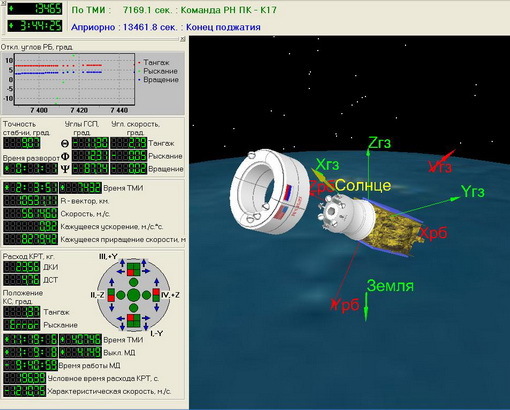 A Russian Briz-M rocket stage broke apart in orbit last week and created a cloud of debris in Geosynchronous Orbit. The Joint Space Operations Center identified the possible break-up of the rocket stage on January 20 when at least ten pieces of debris were identified in close orbital proximity to the spent rocket body. The Briz-M upper stage in question was involved in the launch of the Garpun No. 12L military communications satellite on December 13, 2015. 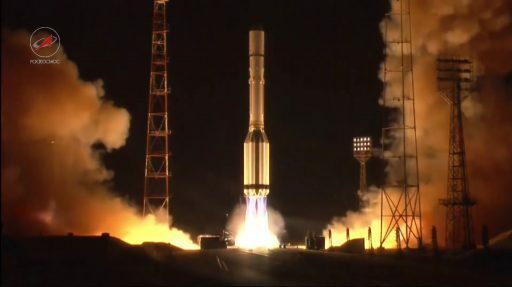 Lifting off from the Baikonur Cosmodrome atop a Proton-M rocket, the Briz-M upper stage came into action just under ten minutes after liftoff when it assumed control for a mission of around nine hours, featuring four burns of the Briz-M to insert the classified satellite directly into Geostationary Orbit. Launch success was announced by Roscosmos, though details on orbital parameters or information on the payload were not provided given the military nature of the mission. It took one week for western radars to spot the satellite in Geostationary Orbit and the Briz-M rocket stage was found in an orbit around 33,400 by 35,800 Kilometers after going through a pair of maneuvers following spacecraft separation to enter a graveyard orbit. 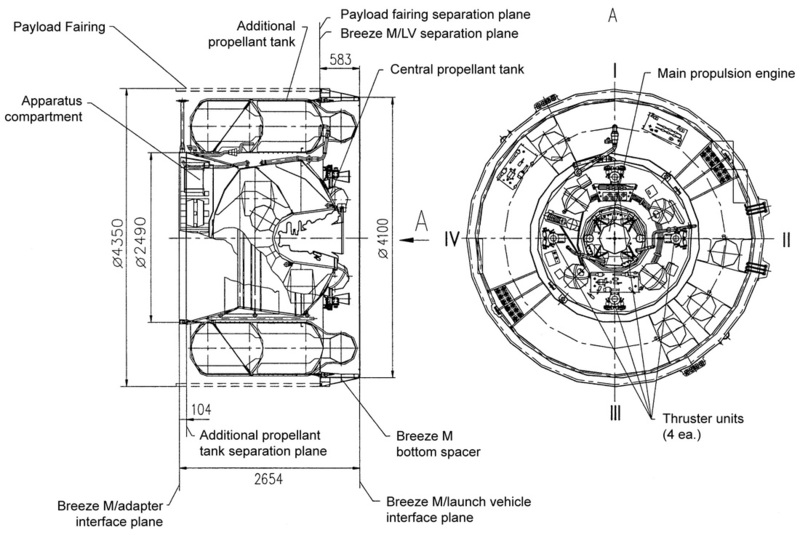 Typically, when its mission is complete, Briz-M vents its main propellant and high-pressure propulsion systems as well as pressurant gas tanks to enter a passive state in its graveyard orbit. A possible break-up of the Briz-M upper stage was identified at 19 UTC on January 20 when at least ten debris were found close to the spent rocket body. Analysis performed by JSpOC narrowed down the timing of the event to 3:50 UTC +/-4 minutes on the 16. The debris have not yet been cataloged as additional data is needed to get a precise fix on orbital parameters for each piece, plus time is required for debris to separate to get an accurate count and appropriate designations. 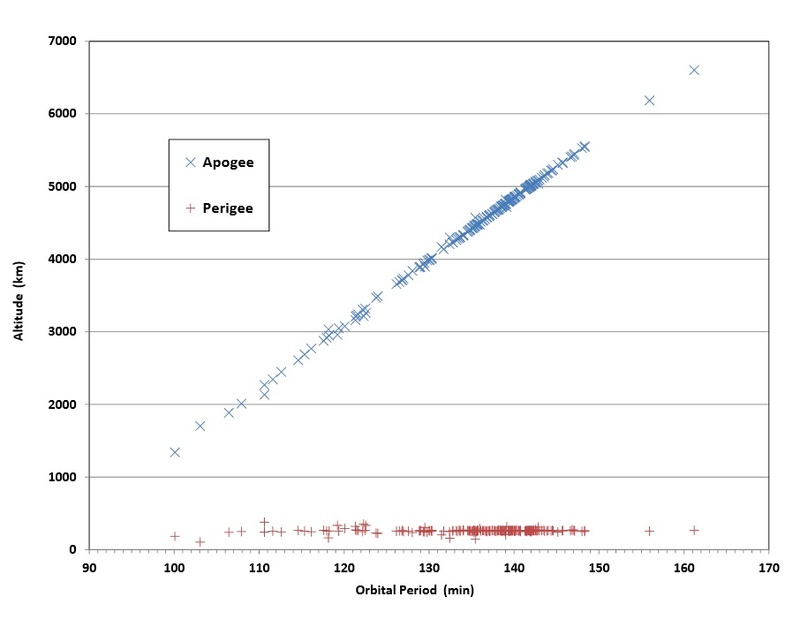 A look at the orbital data for the Briz-M upper stage shows no significant changes over the usual drift of perigee and apogee altitudes in this type of orbit. Briz-M upper stages are known suspects when it comes to in-orbit debris events including explosions with three major events in the last decade alone. After encountering a failure in August 2012, Briz-M and its two payloads, the Ekspress MD-2 and Telkom-3 communications satellites, were stranded in a 265 by 5,000-Kilometer orbit. Well over ten metric tons of propellants were left inside the tanks of the rocket stage at the time of the failure and whether the tanks were vented remained doubtful. On October 16, 2012, the Briz-M exploded when passing close to perigee, leading to the creation of a large debris cloud of over 700 larger debris pieces that could be tracked with radars and optical sensors. NASA conducted an assessment of possible risk posed by the debris to the International Space Station and only found a marginal increase over the normal background debris environment due to the relative precision of the orbits leading a decrease in relative velocity of the debris & ISS as well as a eventual demise of most debris objects within one year. 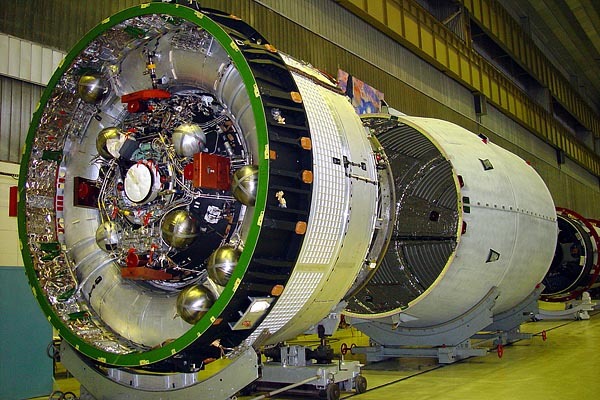 A Briz-M stage with over 11 metric tons of propellant on board exploded in 2006 about 12 months after its launch and another exploded in March 2008 two and a half years after its in-orbit failure. 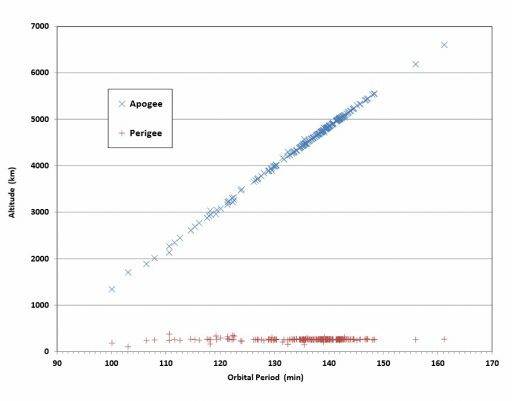 Both events created a large population of debris with low perigee altitudes around 300 Kilometers and apogees at 10,000 to 16,000 and 25,000 to 29,000 Kilometers. Hundreds of larger fragments were released by the explosions, but the number of smaller fragments that can not be tracked from the ground is much higher, most likely in the thousands. Two failed Briz-M stages have been lingering in orbit since 2011 and 2012 along with a Briz-KM stage that failed back in 2011. International Launch Services noted that both Briz-M stages were passivated after their anomalous mission and do not pose an explosion hazard. What caused this most recent debris release from the 2015-075B Briz-M remains to be seen as possible scenarios may include an explosion of the stage after failing to passivate or an external debris impact. 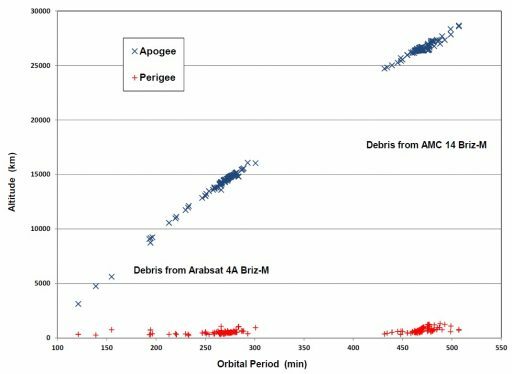 Orbital parameters of debris objects, once available, will help assess the nature of the event encountered by the upper stage. There were no reports of a failed passivation of the rocket stage, but given the military nature of the flight such details would not be expected to be shared. The debris released last Saturday were no immediate threat to any satellite, however, debris events taking place in Geosynchronous Orbit are of great concern to satellite operators since objects are effectively remaining in orbit indefinitely and lead to an overall increase in the risk of debris strikes to any given satellite in the Geostationary Belt. The European Space Agency announced on Friday that ESA’s telescope on Tenerife would participate in an observation campaign to study the debris cloud of Briz-M and collect data for the improvement of space debris models.